Category: Brochure/Booklet Design, Co. Mayo, Ireland. Client: Tóchar Valley Rural Community Network Substance. 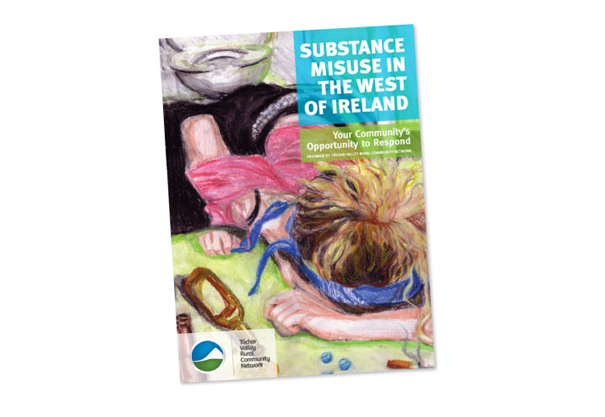 Tóchar Valley Rural Community Network approached Designwest to create an informative brochure design dealing with the important issue of substance misuse in the West of Ireland, utilising creative and evocative artwork produced by the students at Balla Secondary School. The material needed to be treated with sensitivity to emphasize the organization’s realistic and positive approach to creating solutions to challenging problems. The brochure design was officially launched in a community reception in September of 2010 and received very positive feedback, and is now being used as an important tool in community forums to encourage discussion and idea generation.